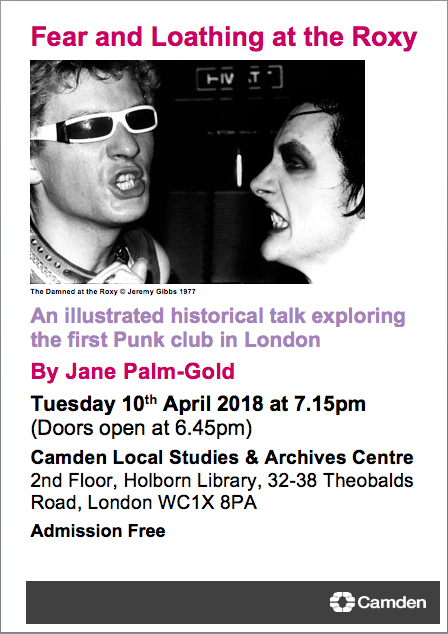 Last presented at PSN17 in December, I’m doing my new talk at Camden Local Studies & Archives Centre on Tuesday 10th April! Was the ‘Fear & Loathing at the ROXY’ exhibition really a year ago? !